Nikon has started taking pre-orders for the new Nikon D850 camera. The camera starts shipping on the 7th of September. The predecessor Nikon D810 starts to come to age after three years, and Nikon promised the world a newer flagship camera as part of its 100-year anniversary. 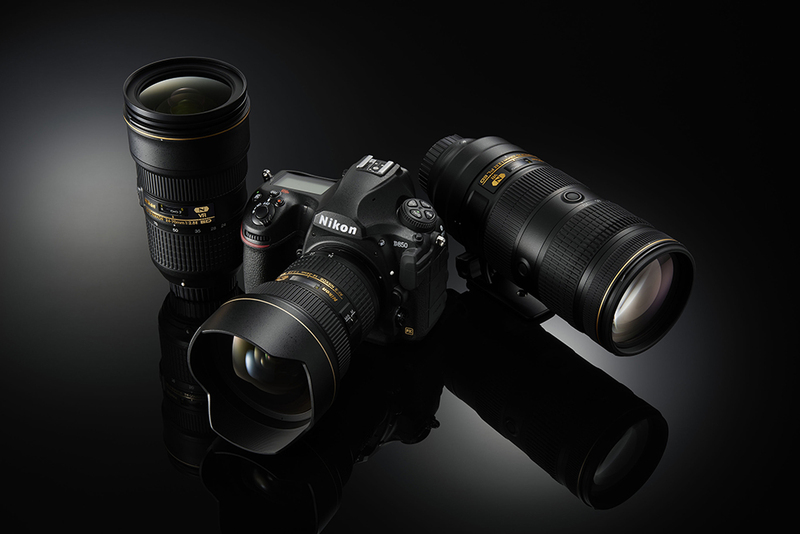 The successor Nikon D850, therefore, has high expections to live up to. The design is very similar to D810 including buttons and controls. However, D850’s design has also been influenced by the flagship camera Nikon D5 and now sports illuminated buttons and a joystick. The twistable LCD screen measures 3.2-inches and has a resolution of 2.36 MP. Nikon D850 features a backlit sensor in FX format with 45.7 MP resolution. The ISO ranges from 32 til 102,400. The new sensor elements’ sensitivity strikes a good balance between the incoming light and sensitivity according to Nikon. There are 153 Auto Focus (AF) points in total of which 99 are of cross-type. The AF system handles light down til -4EV for the central AF point and -3EV for other points. The camera record 7 frames per second (fps). The speed increases to 9 fps using the battery handle MB-D18 in combination with the EN-EL18 battery. Recording in 4K format is possible at 30p when the sensor scales down to 3,840 x 2,160 px. Nikon hasn’t announced the NZ price yet. The price in the US is set to US$3,296.95, which means that we’re looking at a local price of NZ$5,150 inclusive of GST here.